It was 50% off at a Salvation Army thrift store and that never fails to get me all giddy. 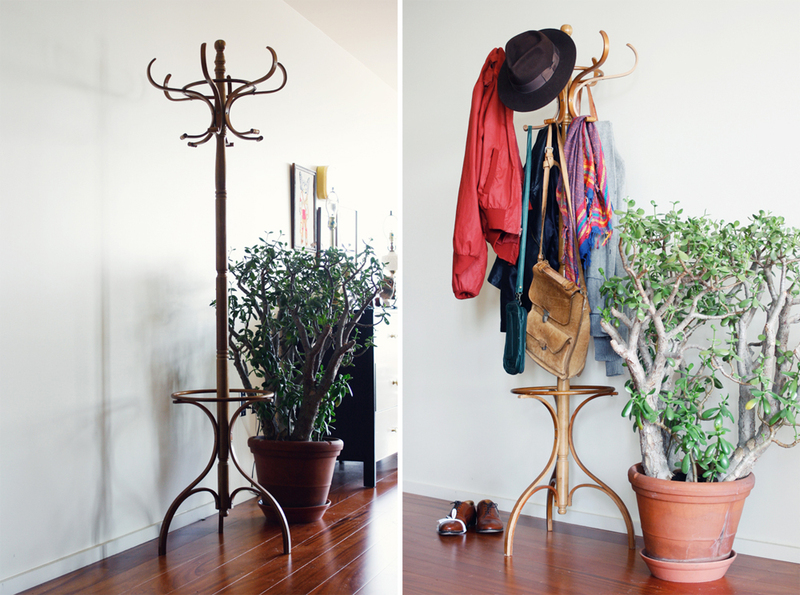 So how could I turn down this tree coat rack? I don't know about you but I have a bad habit of throwing my jackets everywhere, one after another, making a huge mess. I wish I was more disciplined, like Mister Rogers, hanging my coat the second I step into my home. Hopefully, this rack will keep things nice and tidy. Did you see my little injured sole next to it? I was out and about one day and part of the sole from my shoe just snapped right off. I found a piece of plastic and tied around it to keep it from flapping all over. Pretty funny stuff.